October 10 – The Confederation of African Football (CAF) has cancelled the 2019 Africa Cup of Nations Group ‘F’ double-header between Sierra Leone and Ghana. 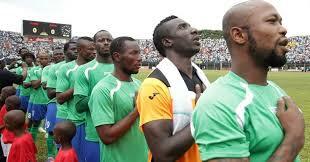 Last week FIFA suspended the Sierra Leone Football Association (SLFA) with immediate effect. The governing body cited “government interference” to justify the suspension. SLFA president Isha Johansen is facing a criminal investigation by the ACC and was, together with her general secretary Chris Kamara, shut out from the SLFA premises. The ACC is investigating Johansen and Kamara for abuse of office and public funds. As a consequence of the suspension, CAF has suspended the Sierra Leone’s matches. CAF said the games had been “cancelled as SLFA did not meet the conditions stipulated in the letter sent by CAF on FIFA’s decision to suspend the federation”. On Tuesday following an emergency meeting, the SLFA, by means of a signed letter by Johansen, made a last-minute attempt to lift the suspension and allow the Leone Stars to play, but the basic demand from Zurich that Johansen and Kamara be reinstated had not been met. “The suspension will be lifted once the SLFA and its recognised leadership (led by SLFA President, Ms Isha Johansen, and SLFA General Secretary, Mr Christopher Kamara) have confirmed to FIFA that the SLFA administration, premises, accounts and communication channels are under their control once again,” said FIFA last week. By virtue of the suspension, the SLFA lost all its membership rights with its national teams and affiliated clubs no longer entitled to take part in international competitions until the suspension is lifted. What the immediate consequences of the cancellation of Sierra Leone’s matches mean for the qualification process for the 2019 AFCON or for the other teams in the group, Ghana, Ethiopia and Kenya, remains unclear.